These are the steps we follow in our 3D Printing for Educators workshop. This is certainly not the only way to setup your Printrbot Simple, but it is our recommended process for educators. 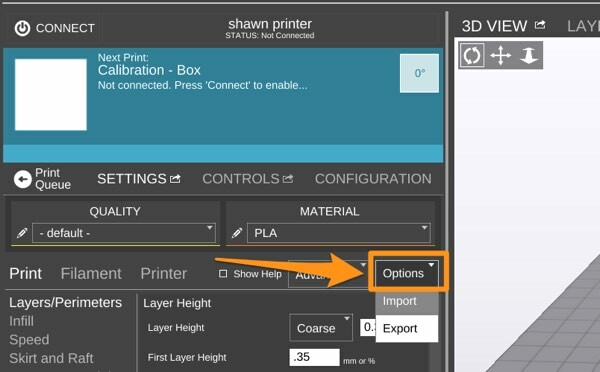 Following these steps as outlined will help you setup your printer and ensure you don’t miss any steps. Now you’ll want to install some printer control software. There are a few different options, but installing MatterControl is a good place to begin. This is pretty self explanatory. Pull your printer out of the box and unwrap it. Don’t forget to cut the zip tie on the back of the printer. Now, you’ll want to install BuildTak if you have it. This is a great material to put on your printer bed instead of blue tape. Plug the power into your printer and the USB cord into your printer. Do NOT plug the USB cord into your computer just yet. In MatterControl, use the File menu in MatterControl to add your printer (File -> Add Printer). Follow the directions and connect the USB cord when it tells you. This will provide some default settings that should work with most designs. Choose “Options” -> “Import” and then find the settings file you just downloaded. 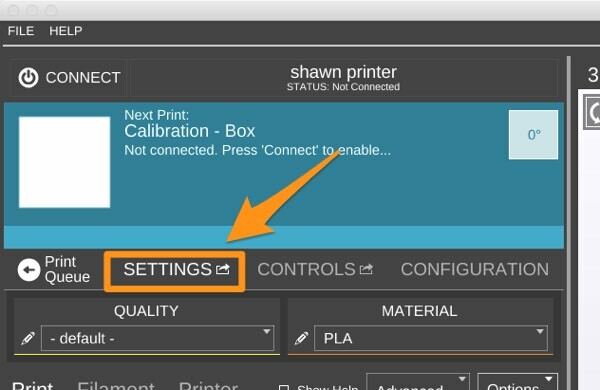 Follow the directions on how to setup your printer probe. Now you should print and attach a fan shroud.